To view full CV on the Spotlight casting directory, click here. COMMERCIALS for BingoGodz and Skittles. SHORT FILMS include Catchers (Sci-Fi London 48-Hour Film Challenge 2013), The Study (Sci-Fi London 48-Hour Film Challenge 2011), Rough Patch (winner of the FilmAnnex.com War of Films in December 2010) and Bad Luck Rock (selected for the Cinemadamare Film Festival 2010). 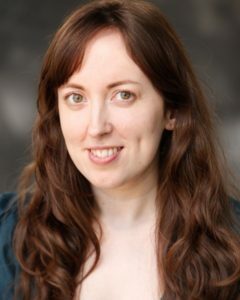 STAGE ROLES include Middie Paradock in A Resounding Tinkle, Mrs Smith in The Bald Prima Donna, Jess/Titanica in The Empire of Attrition, various roles in sketch shows Naughty Chekhov, Beat Club and Messrs Comedy and site-specific devised comedy performances with Gideon Reeling. HIGHLY EXPERIENCED in IMPROVISATION and REHEARSED READINGS.